Thank you for choosing S&H Bail Bonds. We want to make sure you are completely satisfied with our services and we hope you want to share your experience. 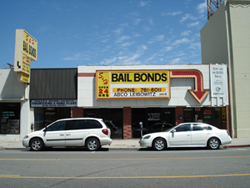 Please write a review of your own experience on Google+, Facebook or Yelp, which ever is most convenient, and let others know about S&H Bail Bonds (see the procedures below). We appreciate your feedback.